Over the past 6 Years we have worked with over 1,600 entrepreneurs and companies. Below are just a few of the businesses we have worked with. One of the biggest charities in the South of England focused on developing skills in deprived areas and helping with conflict resolution. They have a new, fast-growing Furniture Up-cycling division called Furnish. They wanted to consolidate their operations into one large warehouse/office space to bring the whole organisation together and grow Furnish. We helped them to reorganise their business and raised funding to prepare them for relocation in 2019. CUBAtone is the world's leading cardio jam session inspired by the infectious, energising and sweat-dripping fun of playing the drums. They needed funding to grow the number of sites they run classes and manufacture more stock for their growing active wear brand. They raised funding, and they are growing quickly across the South West into new venues. Their active wear brand is also growing rapidly and is very popular on social media. SmartGlyph is an innovative Internet of Things (IoT) infrastructure company. 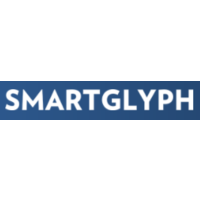 SmartGlyph has developed a patented method of digitising almost anything and have applied this in a suite of products that solve many common problems. They were seeking funding to bring their technology to market by opening offices new in London and Palo Alto. They got the funding they needed to continue development and are planning to launch in 2019. Whatsinit? Uses an extensive and continuously growing database of more than 25 food categories to help users quickly and clearly understand and find healthy alternatives. They required funding for customer acquisition after completing the development of their software. They managed to get funding via crowdfunding and have continued the development of their product. WHI Safeguard is an innovative LED safety lamps supplier who designs and develops innovative products that strive to improve safety for everyone on the road. They needed funding to launch a new product specifically for the US market. We helped them raise funding for their new product in the US and increase sales channels across the UK in Europe. UK distributor for Biocurcumax, an all in one formulation of natural Curcumin & Aromatic-turmerone, the most potent component of TURMERIC. As an Indian company, Bioturm needed a Go-To-Market Strategy and guidance on the UK market to launch their product. We helped them launch in the UK with a multi-channel approach, and now they are one of the most popular Turmeric supplements in the UK and can be found on Amazon. The Data Source is a supplier of Business to Consumer (B2C) and Business to Business (B2B) data lists and leads. The whole data broker industry was hit in 2018 by GDPR. TDS needed to be restructured to ensure GDPR compliance. We helped them reorganise and become GDPR compliant. We also helped them diversify their product offering to ensure they had a sustainable business model. A Turkish fast food restaurant based in the West Midlands. Alaturka has ambitious to open multiple sites across the UK. Top achieve them they required a comprehensive business plan to present to various landlords. In just six months Alaturka Doner has opened two outlets in the West Midlands and are on track to open more. 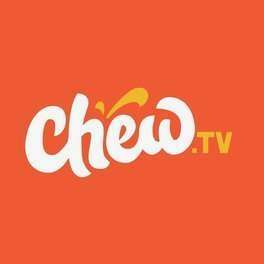 Chew.tv is the live streaming platform that connects a community of over 25,000 amateur, up-and-coming and professional DJs, producers and personalities. When they come to use they had a “buggy” platform and no paying customers. They needed to develop the plan platform, find funding and acquire customers. We prepared a comprehensive business plan and pitch deck to help get a £25k loan and a year later seed investment. They now have users in 130 countries across the world. 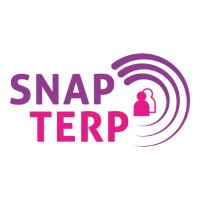 Disruptive app that helps deaf people connect with BSL interpreters close to them via their mobile phone. It took owner years of R&D to develop the app. Needed help to find additional finance to continue development and bring the app to market. We helped to design beta trial. Prepared business plan to secure seed funding, recruit qualified interpreters and beta users. Livability is a national Christian disability and community engagement charity. They were suffering a Steady decline in donations. This meant they needed to remodel their business and add more commercial operations to survive. A Thorough business review was needed. Under performing operations were closed. New commercial operations were set up. Robust financial projections were implemented along with regular business reviews. They managed to reduce their budget deficit by £2m. 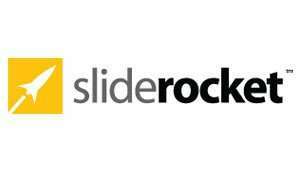 SlideRocket is a revolutionary new approach to business communications designed from the start to help make great presentations that engage audiences and deliver tangible results. They had a freemium business model and had problems converting free users into paid customers. This resulted in serious cash flow problems. We developed their business strategy and plan to help them improve conversion rates. Improvement in performance enabled them to sell the business. 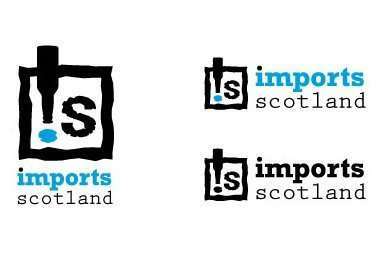 Craft beer importer and distributor. After operating for a year successfully. They needed a capital injection to buy more stock and grow the business. We helped them connect with investors and partners by preparing a high quality business plan. They managed to raise £100k. The World’s Leading Open Source Email Collaboration Solution. Over 500 million people rely on Zimbra and enjoy enterprise-class open source email collaboration at the lowest TCO in the industry. As an open Source product, they were struggling to sell their premium product and consulting services. This was adversely affecting their cash flow. We help them reshape their business model and developed a strategy for them for the next 3-5 years. They Grew revenue YoY after working with us and were eventually acquired by Synacor. Business Intelligence add on for Salesforce. 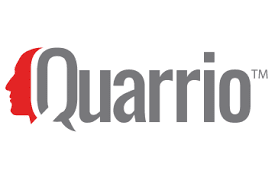 Quarrio takes the mystery out of getting information out of Salesforce.com. After completing an MVP with good results. They needed early stage development required pitch and business to help them find an investor. We advised them on their business model , built a robust revenue plan. Helped them to produce investor documentation to obtain seed funding. Lifestyle development company, core purpose is to provide customers with the finest and most relevant lifestyle products and services available, anytime and anywhere. Owners were successful marketing executives trying to extend their brand into an emerging market. They needed support to help them connect with a new audience and secure funding to grow. We planned the business model from the outset. We helped the owners to identify and monetise their target market. We also managed financials projections & business reviews. It resulted in YoY growth of 50%. To date 250+ companies have signed up to the platform. 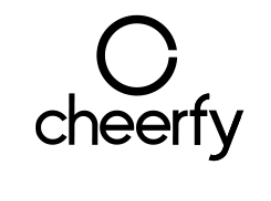 Cheerfy is the incredibly simple customer recognition and relationship system that enables you to use your Wi-Fi to know more about clients in real time and stay in touch later. The founders were experienced entrepreneurs. Needed additional support to help them connect with investors and advisors while they were busy running the business. We helped prepare pitch documents and business plan for a successful crowdfunding campaign on Crowdcube. Nimber is a collaborative peer-to-peer service that connects people who need to send something from one place to another with people going that way anyway. They needed early stage finance to launch the business after successful manual MVP . They raised seed funding and have received great user review and national press coverage. Hewitt Stone stands proud as one of the leading Actuarial recruitment companies. As one of the most reputable and reliable names in the industry. A bootstrapped company started from ground up. Needed support to grow business from £2m revenue business to £20m in the next 3 years. They have recruited 20 new consultants and have YoY growth of more than 700%.